After an hour and a half of stitching plus three loads of dishes, there is a form there. I read my book for the month and I read 4.5 magazines this month. 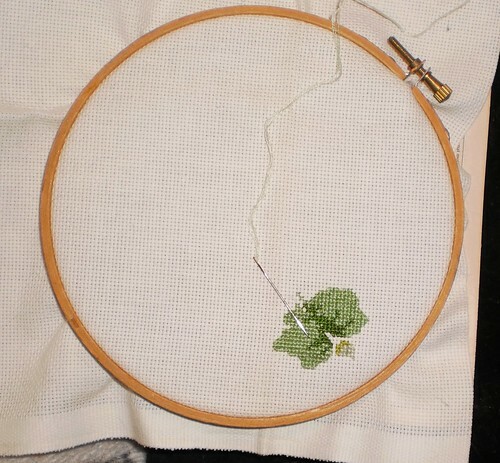 Now, I will spend time stitching. You'll get to see it develop over the next few weeks. I've come up with another theme so expect to see it sprinkled amongst my usual eclectic posts.